A list of our best selling wines of 2011 makes for some interesting reading. It includes a rosé and wines made from little known grapes in oz including Petit Manseng and Negrètte. As we are a new business this list is a little biased towards wines that were stocked earlier in the year compared to some others. For example our range of wines from Bordeaux was increased substantially in November 2011. Whilst these are selling well now, none of them made it into the top 10. So here, in order, our top 10 best selling wines of 2011 are.. This is an easy drinking but spicy red. Made from 100% Malbec. Ripe, opulent, well balanced, supple, and powerful. Winsor Dobbin in Wine Hunter wrote about the Zette Rouge. 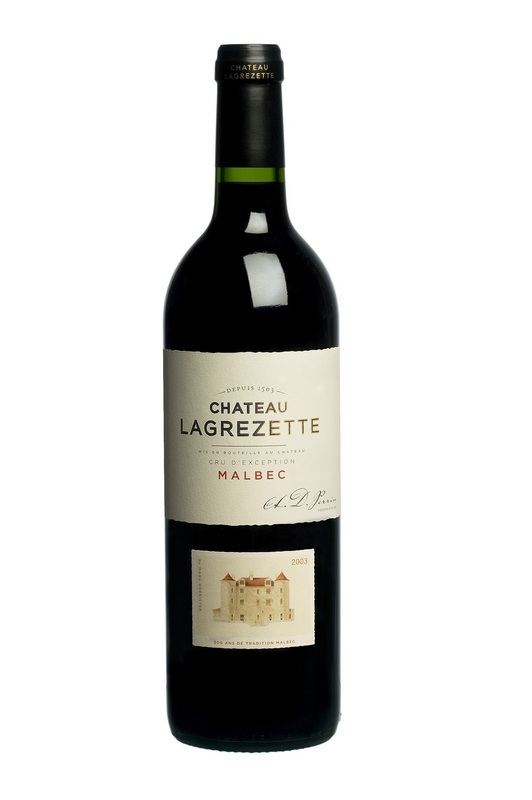 "Zette is the second label of Domaine de Lagrezette, one of the leading producers in Cahors, southwest France, where malbec is king. This is an attractive and mature malbec and a considerable bargain. It's a plush, ripe red made in a New World style and fermented in stainless steel tanks. The forward dark fruit is matched by some supple tannins, hints of spice and softness on the palate. This medium-bodied wine is from a particularly good vintage and is drinking very well, particularly when paired with red meat dishes. Great buying at the online price from an importer with an impressive range of regional French wines". From the team at Domaine de Lagrézette, the Zette range is a dynamic modern brand extension of the Lagrézette line. Wine has been made in the Cahors region since the time of the Romans. So this wine benefits from centuries of experience but via modern winemaking methods takes malbec to new realms! A delightful, complex, fruity but dry and great value for money wine. From the excellent 2009 vintage and from one of the most beautiful and under rated regions in France. Could this be the next big thing after New Zealand sauvignon Blanc? This wine seems to have filled the niche in the market. In weight it is somewhere between Chardonnay and Sauvignon Blanc with more fruit weight than a Sauvignon Blanc but a drier finish than a Chardonnay. If you haven't tried it maybe its time to discover for yourself! From Kerry Skinner "perfumed notes on the nose, pristine citrus flavours, lively acidity and a crisp, dry finish." Terroir: Château Jolys, the largest estate in the Jurançon AOC with its 36 hectares, nestles on the superb hills of Chapelle de Rousse village. Grapes: This dry wine is made using 50% Gros Manseng grapes blended with 50% of Petit Manseng. Wine making: After full destemming, the grapes undergo a pre-fermentary maceration followed by a gentle pressing. Racking of the must and the alcoholic fermentation at low temperature follows this. All the vinification process occurs in temperature controlled stainless steel tanks. The wine rests until the following summer before being bottled. Our tasting notes: Bright yellow colour with greenish tints. The nose is elegant and intense, with both floral and fruity aromas: honeysuckle, jasmine, grapefruit, citrus and fresh grape. On the palate, the wine is fresh, fruity and rich at the same time. The finish is long and fleshy. This wine represents great value for money. If you are looking for something other than chardonnay or sauvignon blanc this summer, but don’t want to pay a fortune, this is pretty hard to beat! We were impressed with this wine when we first tasted it in France. We were unsold though on how well a dry rosé like this would sell. 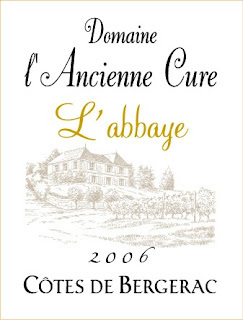 One of our suppliers in France described this wine as one of the best he had ever tasted! We decided to go for it and we have been thrilled with the response form the public. Lots of favorable feedback and repeat sales. It has helped change our minds about rosé and seems to have converted many other wine lovers to rosé lovers as well. Try some and you will see what all the hype about rosé (and in particular French rosé) is all about. This could be one of the wines of the Aussie summer! 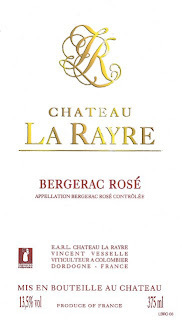 From Sean Mitchell Grape Observer ..."I enjoyed drinking this rosé from Bergerac situated to the east of Bordeaux, a blend of two thirds cabernet franc and cabernet sauvignon and one third merlot. A deeper hue of salmon pink in colour, the aroma is of crisp and crunchy peaches. The palate reveals spices, nectar and a savoury balance. Good drinking and well priced." Our Tasting notes: Blackcurrant nose with an ample unctuous palate. Beautiful balance and freshness. Firstly Winsor Dobbin of The Grape Hunter said "Yet another well priced import from the south-west of France from the team at DiscoverVin who seem to have the knack of sniffing out bargains. This one comes from a family-run domaine at Colombier, outside of Bergerac, and is made very much made in Bordeaux style with a blend of merlot, cabernet suavignon and cabernet franc and just a soupcon of malbec. At just 12.5% it is the antithesis in style of bold South Australian red but does not lack in ripeness or flavours, simply offering a more elegant, food friendly style of drinking with some impressive complexity and spice." 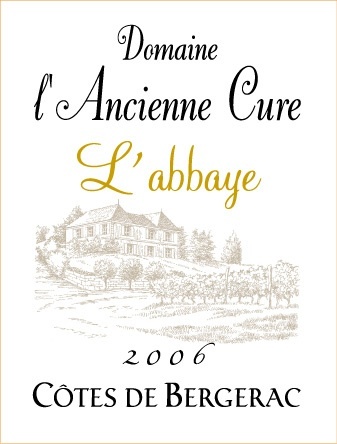 And from Jeff Collerson Best Weekend Sydney Telegraph 29th October 2011: "Bergerac is an annexe of the famous French district of Bordeaux and in his Pocket Wine Book European expert Hugh Johnson rates this producer amongst the area's best. Different from an Aussie red, with savory, leathery characteristics in lieu of ripe rich fruit"
And from Sean Mitchell at Grape Observer: "Bright purple in colour, it has a lovely fragrance of black fruits, oak, spices and earth. On the palate, spices, medium-high tannin and medium length are accompanied by some powerful rustic blackberry overtones. For $20, this really is a very interesting and terroir driven example of Bordeaux, and I wish there were more like it at this price. 86-87 points." Wine-making: handpicked, selected ripe fruit. Temperature controlled fermentation for 6 days. Secondary malo-lactic fermentation for 18 days then put in oak barrels (20% new, 80% one year old) and rested on lees for 15 months before bootling. Micro-aeration and batonnage if necessary during the maturation period. 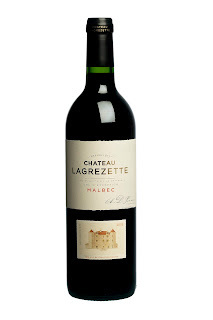 A lovely complex red and great value at this price. The sweet wines of Jurançon are amongst the great sweet/dessert wines of the world and great value for money. This is an excellent example- luscious complex fruit, balance, length and not too sweet on the finish. This wine flew off the shelves and had many repeat customers. We had great feed-back from customers happy to have found this style of dessert wine. Here is a review by aussie wine writer Winsor Dobbin 11/7/11 " love wines with that sweet/savoury combination that Jurancon does so well, you'll enjoy this classy little number that offers sensational value for money. The balance between sugar and acid is spot on here, so that while the initial impression is of ripe pineapple, the finish offers some surprising dryness, roundness and length. A blend of petit manseng and gros manseng, this would be superb paired with calves' liver, pates and terrines or blue cheeses, as an aperitif or as a dessert wine." And another in Brisbane's Courier Mail from 16th July 2011, where this wine was compared to iconic Aussie dessert wines Noble One and Lillypilly. "From the Juracon, an intriguing blend of 60% gros manseng and 40% petit manseng. There is sweetness here but it is much more moderated than its Aussie counterparts. Pleasant, rather than intense but fabulous value. Tropical notes, rockmelons, citrus and a minerally background. Nice flick of acidity." Kerry Skinner "yummy, sticky,luscious and lovely with stone fruit, citrus and marmalade flavours"
From the exceptional vintage of 2005, this is textbook Cahors Malbec from Domaine de Lagrézette. It has received a great reaction form the Australian market and it is a great pleasure to be presenting it. This wine has won many awards and accolades. 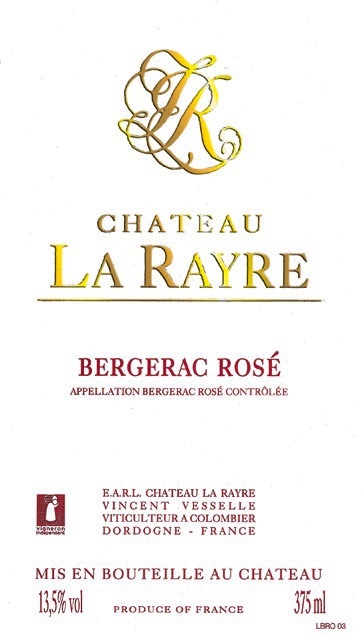 This was also a featured wine in Goumet Travellers French edition July 2011, listed amongst the Top Drops of the Month." DiscoverVin is a new importer specialising in wines from France's south-west — wines such as this classically savoury rnalbec, with dark brambly fruit wrapped up in wood-smoke and graphite. Drink with braised cluck." Kerry Skinner "classically made, lashings of plum and black fruit, integrated spice, cleverly oaked, fine, silky tannins." Another soft and spicy red, this time from Madiran that was well received and has become one of our best sellers amongst the public and the trade alike. This is a powerful multi-award winning wine from a well-regarded producer in the Madiran region. This domaine aims to produce a wine “in a style that brings out the heart and soul of south-west France". This is a rich and powerful wine, designed to go with food. Again represents incredible value as this wine was awarded 2 stars in France’s prestigious wine guide the Guide Hachette 2010. Reviewed by Kerry Skinner August 6, 2011: "powerful, brooding blend of tannat and cabernet sauvignon, rippling with layers of black fruit, spice and peppery, good balance and supple tannins"
Region/Terroir: Madiran. The wines of this region date back to roman times but were made famous by pilgrims passing through the region. Winemakers of the region can draw on centuries of cumulated experience to ensure optimal viticulture practices. Modern techniques have brought out the best from this wine. Grapes: Made from 70% Tannat and 30% Cabernet Sauvignon. Wine making techniques: Grapes are harvested by hand, vinified in stainless steel using micro-oxygenation techniques and matured in oak barrels for 12 months. Our tasting notes: A beautiful deep purple colour. An intense and savoury nose with black fruits, vanilla and leather. A concentrated palate with rich black fruit and peppery spices balanced with great structure, fine chalky tannins and acid. Intense, powerful but great length and balance. Serve with stewed meat dishes, game and cheeses. This is a great example of the wines that DiscoverVin is bringing to Australia. From an ancient vineyard that has been producing quality grapes for many centuries, premium grapes are now being made into modern and clean wines while retaining characteristics typical of the terroir. Great value for money! This wine proved so popular that it ran out recently! Now replaced with the 2009 which is from another exceptional year and very similar in style to the 2009. Again a very good value red wine from regional France representing good value and a great ambassador for this appellation. Terroir: Galliac is a small appellation north of Toulouse (map). It is at the confluence of influences from the Atlantic ocean and the Meditarean sea. It is considered a rapidly improving region, driven by small independant producers such as Chateau de Saurs. Tasting notes: Chateau de Saurs Rouge Tradition AOC Gaillac red has a deep red ruby-garnet colour, and has a very attractive bouquet of cherries, blackcurrants, with discreet hints of aniseed and cinnamon which are more present at the finish. A balanced, round, elegant wine revealing subtle soft tannins, it charms the palate and would be a good accompaniment to meat and cheese. Great to drink now but would improve with a year or two of cellaring. We were thrilled that this wine rapidly became one of our best sellers of 2011. Perhaps a cult wine in the making in? AOC Fronton is a small region north of Toulouse - click here to see on a map. Négrette is an indigenous grape variety producing juicy but elegant wines. Anne-Marie & Pierre Selle have become renown for the quality and consistency of their wines. Wine making Long maceration (18 days). Fermentation and maceration with micro-oxygenation. Our tasting notes Nice and intense ruby color with purple tints. finish is long with great balance. Great to see 2 dry wines of Jurançon in the top 10. We are not really so surprised. As per our wine 2 (the Ch Jolys Jurançon Sec,) we think that these dry whites fill a gap in the pallette of wines available in Australia. This is a special dry white wine that has won many accolades. wine has won many accolades, including 2 stars and a “Coup de Coeur’ rating (meaning “our favourite”) in the Guide Hachette in 2009, which said (our translation from the French text)…. “This domain often mentioned in the guide for its sweet wines is noted here for its superb dry Jurançon with its fresh pale colour. The nose is complex and elegant and opens up with fruit then unveils a splendid minerality. After a well-rounded initial taste one finds again a splendid vivacity and anew an inexhaustible minerality which brings length to the wine on the finish. A savoury wine perfectly balanced and very pure.” Of course we couldn’t have said it better ourselves! For those looking for something other than chardonnay or sauvignon blanc, this could be the wine! Grapes: Made from 70% petit manseng and 30% gros manseng. Winemaking techniques: Hand-picked from old vines (between 50 and 60 years old) and aged in oak for one year to add complexity to the wine. Traditional methods and know how are used but enhanced with modern technology in the winery. Our tasting notes: The nose is very expressive and complex with spicy and mineral notes. The palate is long, rounded and complex with spices and complex stone fruit flavours. Good acid to give great balance and structure to the wine. We are very pleased to be able to include this special wine in our portfolio and very pleased that it has made the top 10 for 2011! So an interesting line up of wines from the south-west of France. We are pleased with the way that they have been received in the Australian market. We would like to thank all our customers, friends and followers and wish everyone a safe, health and prosperous 2012. Hmmm, I wonder what our top 10 will be this time next year?